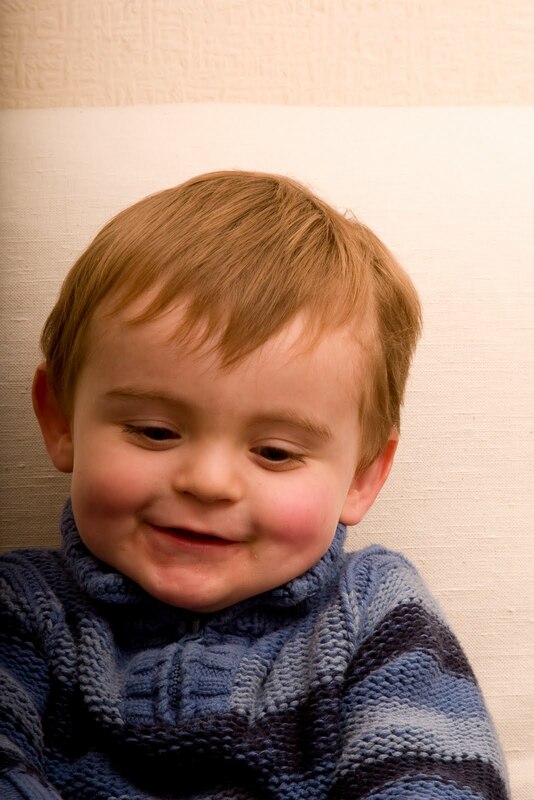 Yet again, I have been looking back at old photos of my little boy and marvelling at how quickly he is growing. 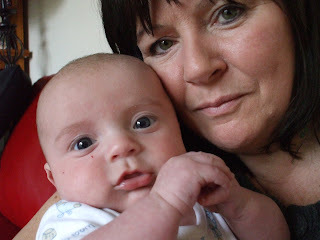 From this little six pound (6lb) scrap of life to the three stone (42lb) of toddler that he is today. 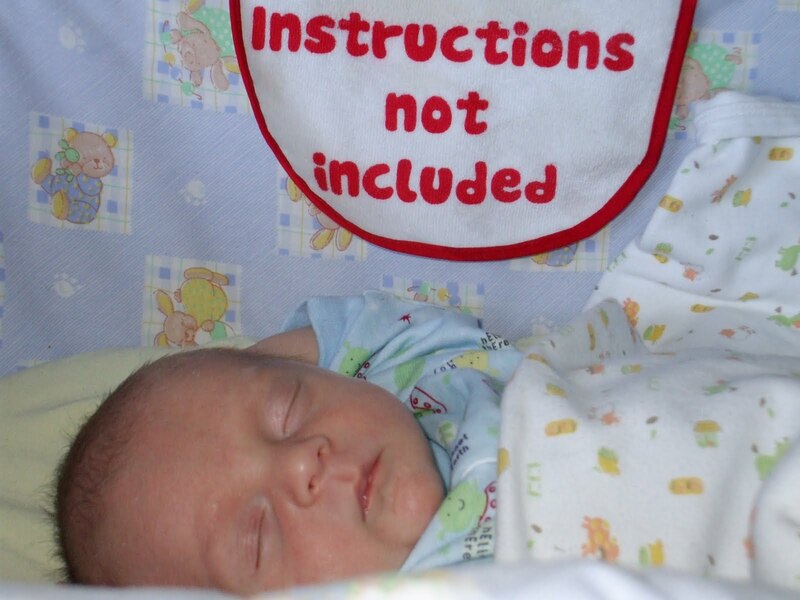 Even though I was three months shy of my forty second (42nd) birthday when I had him, I really hadn't a clue what to do. That's why I just love this photo as it was exactly how I felt at the time. No real instructions apart from well meaning advice and books on this and that, none of which I could take in anyway. I think that people assumed that because I was older and had nieces and nephews and friends with kids, that I should know about motherhood. In actual fact, because I had put off motherhood so long and then got a shock when it actually happened, I really was clueless. I hadn't been as attentive to my nieces and nephews as an aunt should be, for various reasons. One, was that I loved animals and spent most of my time with them, running a dogwalking and petsitting business and another, was that the older I got and the more I thought it wouldn't happen for me, I wanted to avoid children and their parents who would ask awkward questions. Not surprising then that everyone assumed I preferred animals to children! Now I look at him and I marvel at how healthy and robust he is. I am amazed that we have managed to get him this far already. He is almost three years old now and I am forty four! I revel in the fact that motherhood came to me a lot more naturally than I ever would have thought. Of course, it has it's challenges especially on my energy levels but I wouldn't change anything about my situation for anything else in this world. Your energy level has little to do with your age and much more to do with how dedicated you are to being a mom. I know because some days I just dread getting out of bed but seeing my son smile when I enter the room makes it better - not perfect but so much better. I didn't realise he was nearly 4, thought he was still a baby - you're not an 'older mum' at only 41 having him, well, I don't think so! Lorna, he is three next month. I miss him being a baby but at the same time adore him being a toddler!